This book is set 200 years after the witch trials in Salem, Mass. 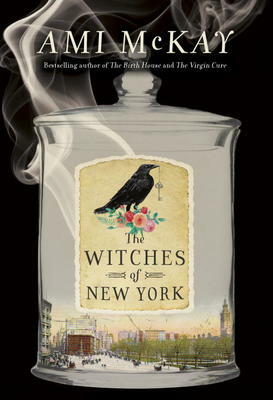 Now 1880, this is the story of three modern “witches” as they ply their trade in New York city. One of them had worked in a circus sideshow, the other was a medical student and “keeper of spells.” They cater to rich women of Manhattan, and specialize in cures, palmistry and potions. They are joined one day by a young woman who came seeking a job. It turns out she sees and hears things no one else can. One day she disappears and the desperate search turns up accusations from the past for all concerned. It is a startling look at a world not much discussed. Ami McKay is an American, born and raised in Indiana. She now lives in Nova Scotia and has written two best sellers, The Birth House and The Virgin Cure. Next Next post: Annual Inventory Sale On Now!